Jy Thammavongsa, a sophomore at Habersham County High School, works on math problems with a classmate during the Summer Scholars Institute, held each summer at the University of North Georgia's Gainesville Campus. Three years ago, Jackie Martinez, a sophomore at Chestatee High School in Gainesville, Ga., would have listed physical education as her favorite class. "I used to think gym was my favorite class because it was so easy, but I like math better now. It's challenging and fun at the same time," said Martinez, who wants to study technology in college. Martinez is spending her third summer as part of the University of North Georgia's Summer Scholars Institute, a three-year academic enrichment program designed to help struggling middle and high school students. Held at UNG's Gainesville Campus, the summer program concentrates on reading, writing, and mathematics, adding in history and science for older students. Barbara Harkins has been a Summer Scholars instructor for 21 years and is the program's lead instructor. She teaches at South Hall Middle School in Flowery Branch, Ga.
"There's a need here. 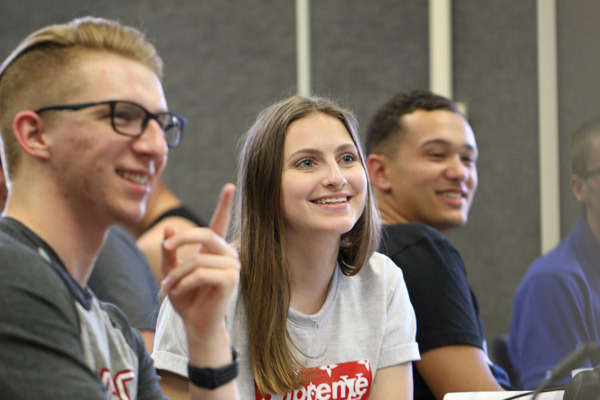 If you look at our demographics, we are serving a population of students who never thought they would go to college, and then we show them that they do have that opportunity," she said. "The high school counselors tell me that a lot of these kids would have been dropouts." For four weeks each summer, some 120 students spend most of the day on the Gainesville Campus going to classes just like at their own school; many students say they enjoy Summer Scholars more. "Learning is way more fun than regular school," said Geovanni Gonzalez, who attends South Hall Middle School and is in the first year of the program. "We actually get to have fun with our friends and with our teachers." Jarvis Davenport was working on an associate degree in education at Gainesville State College in 1996 when Ed Cabell, who started the Summer Scholars Institute, asked him to be a student aide. Davenport, a UNG grad who teaches and coaches at East Hall High School, now is a Summer Scholars instructor. 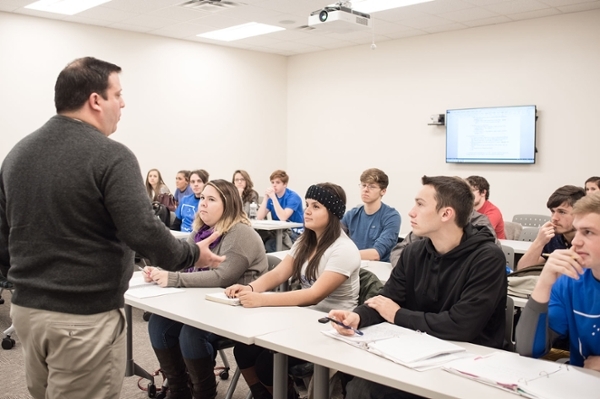 "It's eye-opening to see the joy that students experience when they complete a task on their own or they learn a new skill," Davenport said. "You can tell that it means something to them, even if they don't verbalize it." sophomore, during a Summer Scholars class. Summer Stone, a sophomore at Rabun County High School, said the program has helped her gain confidence. "When I first got in the program, I pretty much did not talk in class. I was the kid who sat in the corner and read a book; it didn't really matter what anybody else was saying," she said. "I've gotten to the point where I'll raise my hand or I'll say an answer if I understand it." Jy Thammavongsa was shy in explaining how Summer Scholars has helped him be better prepared for the new school year, but the Habersham County High School sophomore has a solid plan for his future. 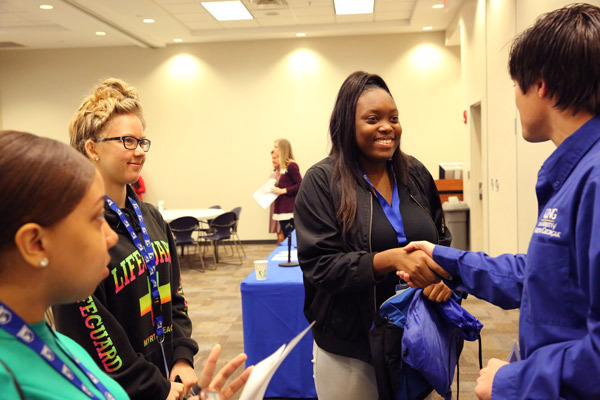 "Summer Scholars has made me feel like I can be successful," he said, adding that he wants to follow his uncle's lead and take classes at UNG's Gainesville Campus. "Then I'm planning to go to Georgia Tech and become a computer engineer." 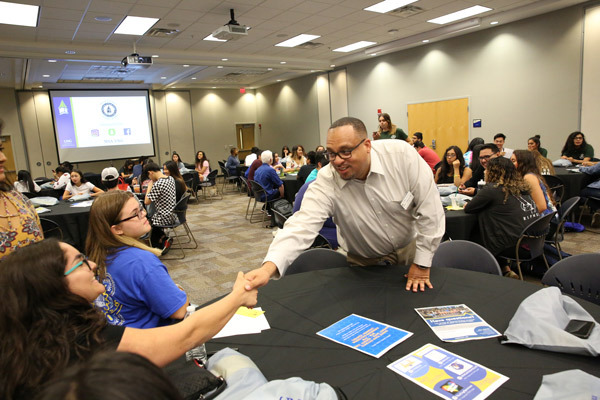 Summer Scholars Director Robin Anyanwu said helping students stay in school and further their education benefits the entire community, something that area groups have recognized through monetary support. The United Way of Hall County has supported Summer Scholars for more than 10 years and gave the program an $11,200 grant this year. "Even though it's a short time period—it's only four weeks—we know that summer learning loss is a huge factor for so many students. This program bridges that gap and helps these children be more successful in life, so we're thrilled to be a part of it," United Way President Jackie Wallace said. The program also received a $15,000 grant from the Jackson EMC Foundation, funded by the contributions of the cooperative's members.